Okay so I am essentially a freelance boat detailer, I was testing out products last summer and found some decent waxes/polishes. I have tried liquid glass, Meguiars, star brite with P-tef, and a couple others. I just ordered a box of Heller Glanz detailing products to try out. Now I don't know why but it seems as though info about Heller Glanz does not exist, I found it mentioned on one forum, though their 30 day money back guarantee seems promising. Has anyone here used it? if so what did you think? what is THE BEST liquid wax out there as far as ease and durability. Secondly I am working on a sea ray 36' that has some relatively bad oxidation on the bow deck. I rubbed in about 3 coats of star brite last season with not a whole lot of luck. Now I have read all the wetsanding business and all these rubbing compounds and I would totally be for it if I had the time and the tools. What is the best method of bringing shine back to a boat without a buffer? I was thinking about trying heller glanz heavy duty cleaner wax, then the cleaner wax finishing with the carnauba liquid polish. I don't know if Heller Glanz's claims are true but I'm willing to anything once, plus theres that 30 day guarantee. any suggestions as to products that will work better for sure? Last subject: I have been told by a few very honest customers that I am ripping myself off with my detailing prices. 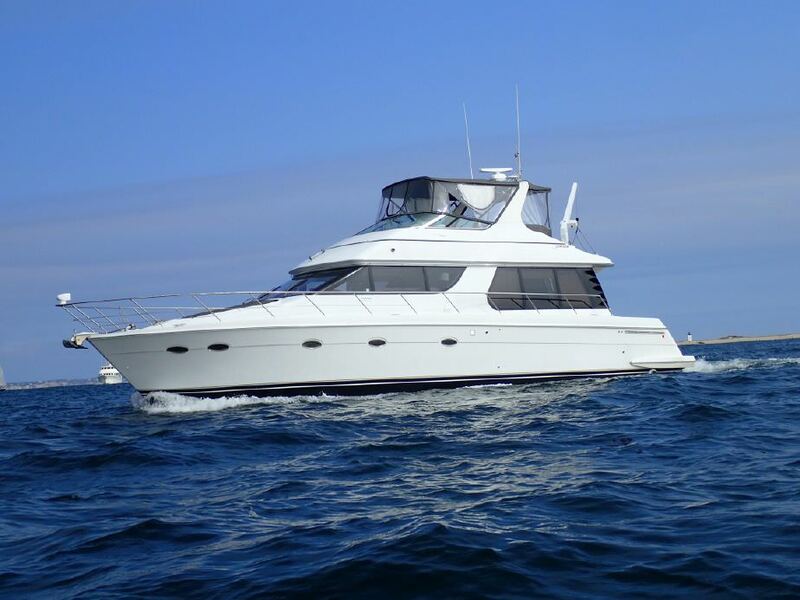 Examples: I did a full polish and detail job of the bridge of a 44 carver for $120.00, I did three coats of wax by hand on the hull of a Jefferson 52' for about $400.00, That sea ray I mentioned gets washed and a coat of wax for $75.00. What should I be charging for my services? I am working with boats between 30 and 55 feet, Washing weekly, and waxing monthly, Hull waxing at the beginning and end of the season, also doing some interior detail cleaning. Should I charge by the foot or is there a better way to do it? I need to make money for school, but I don't want to drive away customers. Any help would be much appreciated. Are you looking for advice or customers? PD, I think you should polish your skills and gather some tools before you charge anyone else for polishing a boat. For example, you didn't do "full polish and detail job" if you did it with a can of wax and a sponge. In all likelyhood, you simply put wax on top of oxidation. There's a wealth of information in this forum. With an investment of a few hundred dollars, some time here and some practice, you could be a true pro before Memorial Day. 1. no, I am not looking for any customers whatsoever. 2. As far as not charging people to wax their boats, I really have no choice, its what I did last season, the few people I worked for just told other people what I did and boom, I'm here. I am sorry if I came off cocky at all at first, thats just the inexperience talking. I'm not going to sit here and write that I'm better than anyone at anything because I know I'm not and thats why I'm here, to get some advice from people who know way more than me. So anyways, I spent all last season washing and waxing a family friend's 41' Chris-craft roamer, no money involved just the captain showing me the proper way to hand wax. So do you mean I just need to get more boats under my belt before I start charging people or do you mean I need to make sure I'm helping and not hurting their boats? On the other hand, if you take on a job to polish an oxidized boat, you'll be wasting your time and your customers money if you don't have the proper tools. Fortunately, we've discussed most of those tools on this board already, so you if scan through and read some of the older posts, you can catch up pretty fast. You don't necessarily have to spend a lot of money either, but keep in mind that sometimes the cheapest tool to buy is more expensive to own. You need to figure your expenses vs your revenue and see where you are. You may find out you are making below minimum wage. If so raise your prices or look for a better paying job. Tim, go to Barnes & Noble and look for "Ultimate BOAT MAINTENANCE Projects by Scott Smith. You need to invest in tools so you can move from cleaner to a detailer. And listen to the advice about liability, good luck. What is the best method of bringing shine back to a boat without a buffer? I assuming you are a high school age person and if that is the case. Get the books, buy the tools, and I myself would be totally happy if I was up there to use your services....I'm not even 40, but I have to say I hate the fact that no kids coming begging to cut my lawn or shovel my sidewalk. I know I now sound like I'm 80 but when I was a kid me and another kid used to be fierce competitors for this kind of stuff. Anycase....not using the best tools money can buy is really not smart. Being honest with your customers and saying look I'm trying this based on that is a great way to build business. Actually just finished my freshman year of college, the cost of education is just setting in. I was originally started in this whole business of keeping boats clean because of an ex-girlfriend's dad owning an old chris-craft roamer. The past two summers he has had me put wax on and wash his boat. He has told other people around the docks about me and since it's a small yacht club at a private marina there is really nobody else there as far as professional detailing or regular washing. So I have just decided to quit my low paying summer job and at least wash these boats and do some waxing here and there where a good hand applied wax is all that's needed. My problem is that the first boat I started on had recently had its gelcoat completely redone so there was little to no oxidation. A friend of that boat's owner asked me to wax his boat I guess assuming that it would turn out glistening like this first one. Well his is a newer chris-craft, except he hardly ever waxed it so the oxidation was far, far worse than my first boat. Being inexperienced I said sure I'll do my best, so I used some regular liquid wax with little to no results. I told the man to pay me whatever he wanted since I am by no means a pro and was just getting into this whole thing. Anyhow this year he has asked me to do my best again to restore the shine to his mildly oxidized hull. He has a wheel I could use, I just don't want to tear up his gelcoat. Do I say yes and use the wheel and just be cautious with it or should I just say hey I'm not comfortable with the wheel, all i can do is wash it. Thats where I stand as of now, I just tell people with more worn gelcoats that I don't yet have the means to remove oxidation but can still wash. That to say I've took into consideration all the advice given here. If you guys have any more suggestions or tips, I've seen the responses so far and am really grateful for all the help I can get. Thanks again. Get the buffer, go slow, start with a 3ft x 3ft patch, show the owner the results and don't way undercharge (which I think you might be doing). You'll probably have more business than you can handle (tell people when you will get it done and stick to the schedule). At least where I live even if you are professional, if you come down during the week you see some "undocumented" workers on the boat. Tons of people are happy to pay a hard working college kid. I agree 100%, but to clarify, set the BUFFER to low RPM's, but keep it moving steadily - even swiftly until you get the hang of it. Also try to feel-out your customers expectations. A guy with a badly oxidized, late model boat might not care as much about mistakes as will the more O.C.D. type. Grosse Ile is about as small a community as you can find, so no matter what tools you invest in, your reputation will be your greatest asset. Make sure all of your customers are satisfied and you can end up with a good business. alright so I just finished the boat with the oxidized hull. Used 3M restorer wax with a rotary and finished with a non abrasive carnauba liquid wax by heller glanz with an orbital (both with wool pads), worked well, made a huge difference, not quite a "wet" look but its getting there, no more powder or dullness. The owner was a great guy and had me use the buffers he had to get the hang of it. my one question is this, when i get a buffer should I get an orbital or rotary or maybe even both? I'm not likely going to be doing any heavy polishing like this last job again any time soon, but just topsides of a few new(er) boats. thanks a ton for all the help! Once I bought my variable speed polisher I sold my orbital as I wax by hand. Get at least two different size pads for covering large spaces and another set for those little places. 'I am the way, the truth and the light, no one comes to the Lord accept through me' - Jesus Christ - Get it? Homeport: Astor & Stuart, Fl. Makita rotaries are good, Auto Zone had a Makita knock off for $60 bucks, not bad if you are on a budget. Also check out Yacht Brite's "Buff Magic". Comes in a metal can, you use a 3" chip brush to apply to the boat. Works great. this one is a hook and loop type, is that the right one? I have the DeWalt. I wish I had the Makita. The Makita is noticeably lighter & I'm not a kid anymore. (especially after 3 shoulder operations) The Makita is the one that the other companies all try to copy. That is also a great price. Coastal is also a good company to do business with. ...and don't forget a Flitz (company name) ball. Incredible for getting in nooks and crannies. Mothers Wax has a competitor. I've not heard anything about them yet. Makita rotary with "Buff Magic" hard to beat. As a side note, I love Harbor Freight, don't remember the price on my polisher but cheap and i've used it two years now on my boat and does a great job. I use an oxidizer, followed by Mcguires polish, followed by Collonite fleet wax, I'm very happy witht he finish. I admire your hard work and if you are simply honest, you'll make a ton of money. We have a "kid" around our marina (I think he's 19) that started on one boat but by the time he was done, I think he had about 6 customers, maybe more. He's the son of a local businessman and everyone supported him. In his case, he had the tools and knowledge. However, if someone just had the will and the time, I'm sure you could get some elder gentleman to take you under their wing. Simple wax jobs are simple but when it comes to different degrees of oxidation, you really need someone with experience. I don't think I'd be willing to tackle the wet-sanding jobs just yet. well guys, FINALLY finished that first job I was talking about on here, if it weren't for all the advice i got from all of you it would have been a nightmare, I got a call the weekend after i finished from the guy, he said it had been a long time since he'd seen his boat shine like that and my and my partner did an amazing job. I also used that new makita to "finesse it" a newer cruisers 4450 and it was amazing the difference it makes, that plus a hand applied coat of wax and man, that thing shines like a star. so again, thank you all so much for your help!